Do we have any evidence of a migration from the Indus to South India? 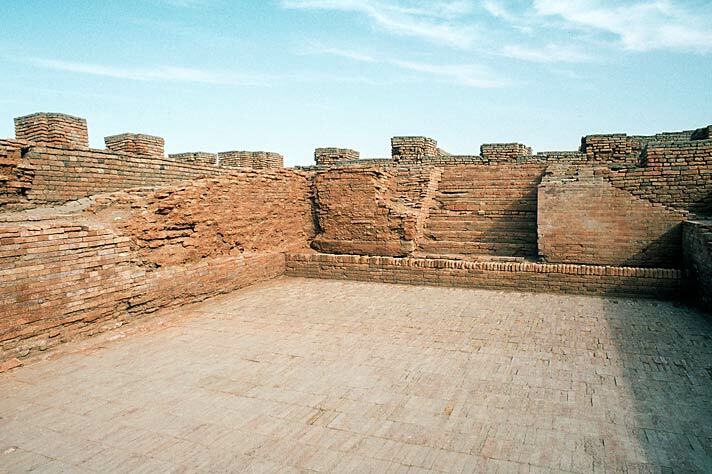 Inside the Great Bath, Mohenjo-daro, discovered in the 1920s. There is no direct evidence so far, but it is possible, given that the Harappans were known to be in maritime contact with Arabia. How much population movement there actually was into South India from northwestern South Asia during the Harappan period or even shortly thereafter, is not well documented, if it did happen at all. I believe that there was a substantial migration from the Indus valley to South India at the end of the Indus civilisation. Old Tamil poems mention about migration from Dwaraka in Gujarat to Tamilnadu via Konkan, Tulu and Kongu regions. There is no reference to sea-borne migration. But that is also quite possible. I doubt whether under water exploration would provide evidence of small wooden boats and cloth-sails. However some accidental discovery of stone seals or copper objects from under the sea can always be made.